Once upon a time, my brother gave me to read a book with native north-american fairy-tales. I wasn’t a kid at that time. Probably that’s why I don’t remember those stories anymore. But I do remember the first fairy-tale from that book. It was called “Thoughts on the wind”, telling the story about a young family. The man, a warrior, needed to go, while his woman, also a warrior, needed to stay. They were very worried, but they agreed when they are far away from each other to reconnect using the wind and to send their thoughts about each other with the wind. Lets send our thoughts towards Duluth, Minnesota on The Great Waters Gichi-gami. 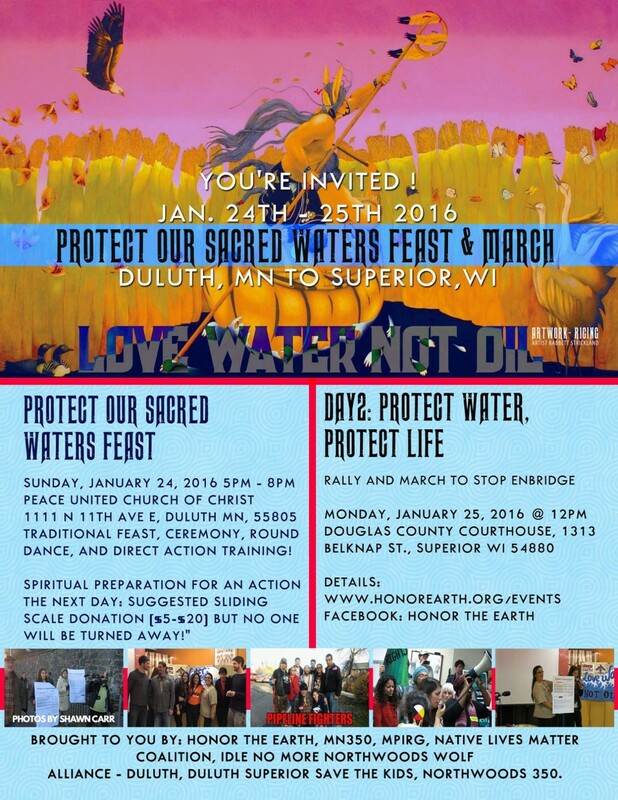 Engage, dream, share, pray and meditate to protect our water from oil pipelines and desecration. Our sacred waters belong to us all: the wild rice, the loon. Lets take a moment to feel gratitude for the water that fills us today, and let us protect what fresh clean water remains. Дори аз не си спомням тази приказка. Но спомените могат лесно да бъдат преоткрити, ако се завърнем в местата от детството си.